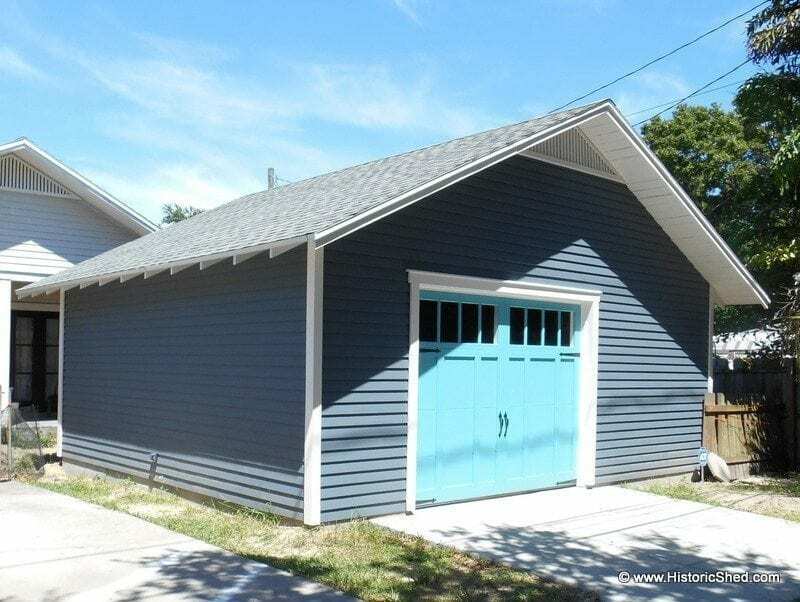 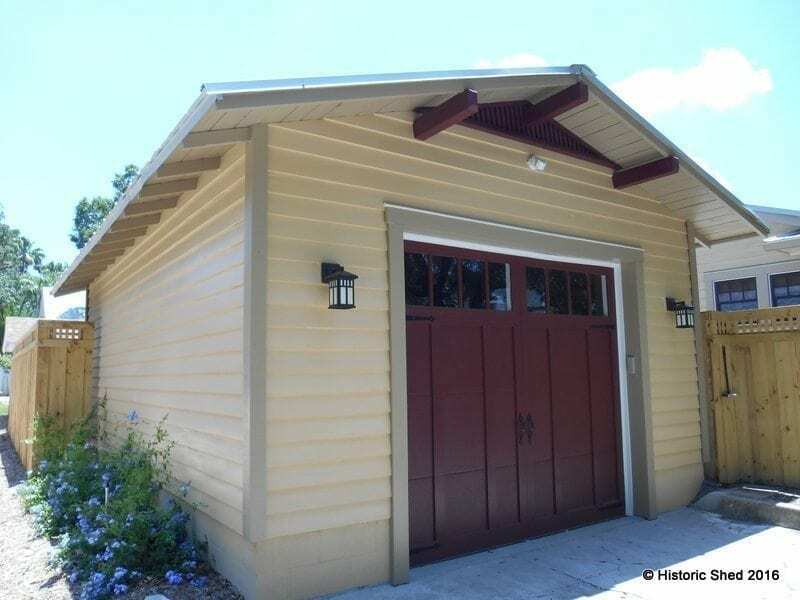 Historic Shed™ offers traditional detached one- and two-car garages and garage-apartments with classic lines and materials. 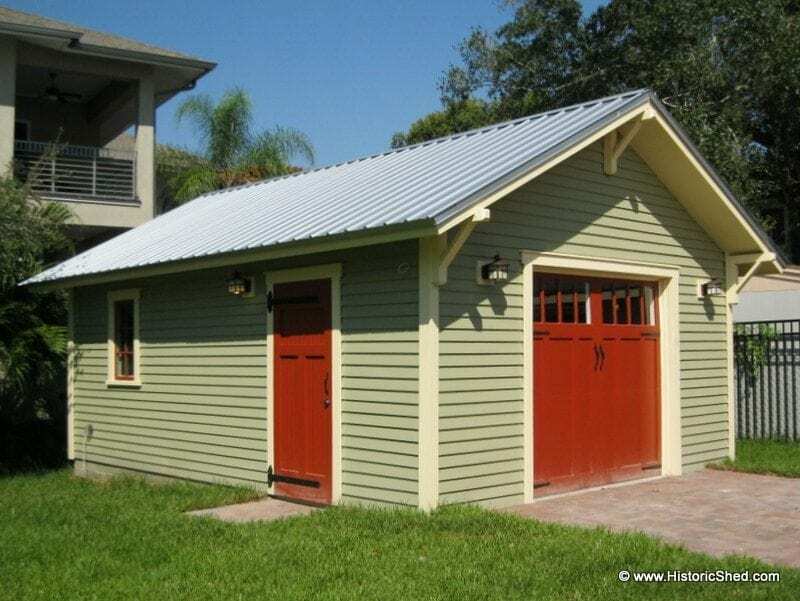 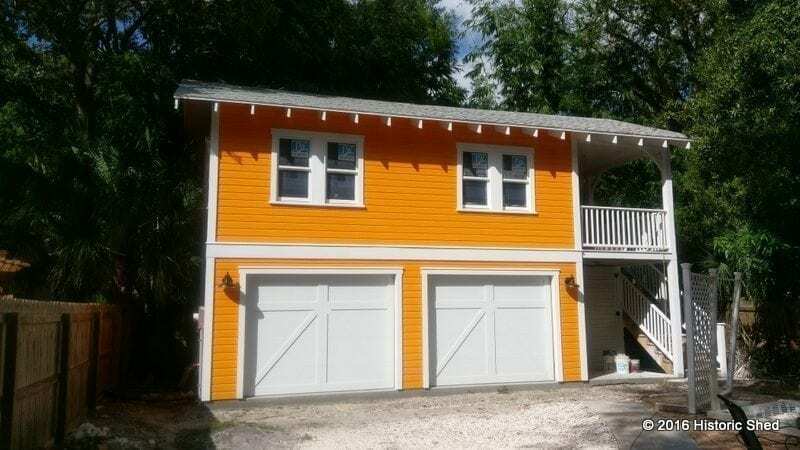 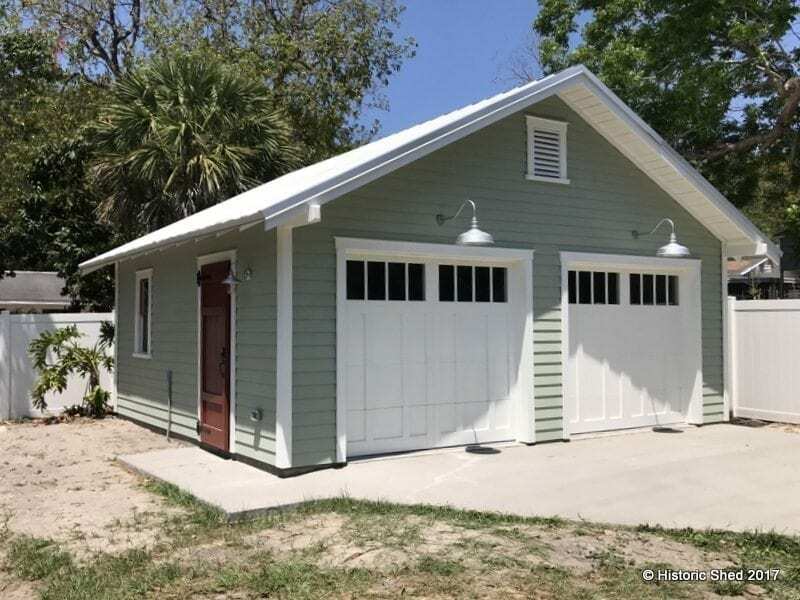 Similar in styling and detailing to our Garden Sheds, Historic Shed™ traditional one- and two-car garages and two-story garage-apartments are designed and built to complement historic Florida homes. 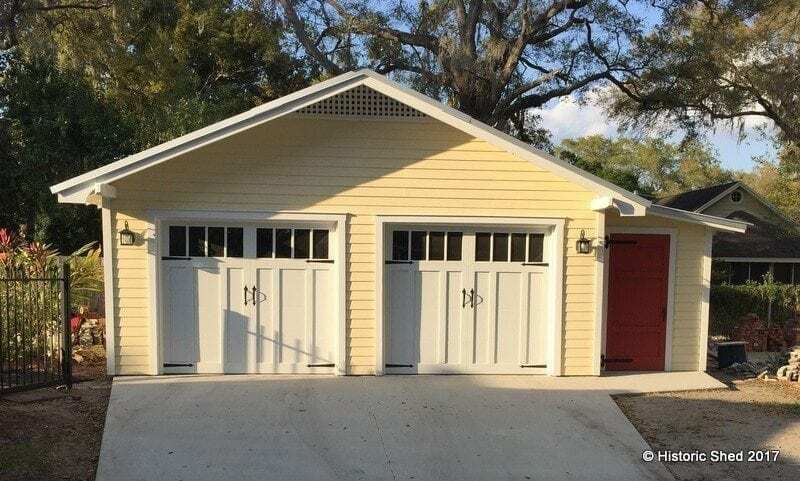 Our wood-framed garages are constructed on concrete slabs and outfitted with modern overhead doors faced to resemble carriage house style doors, allowing you to use a standard garage door opener. 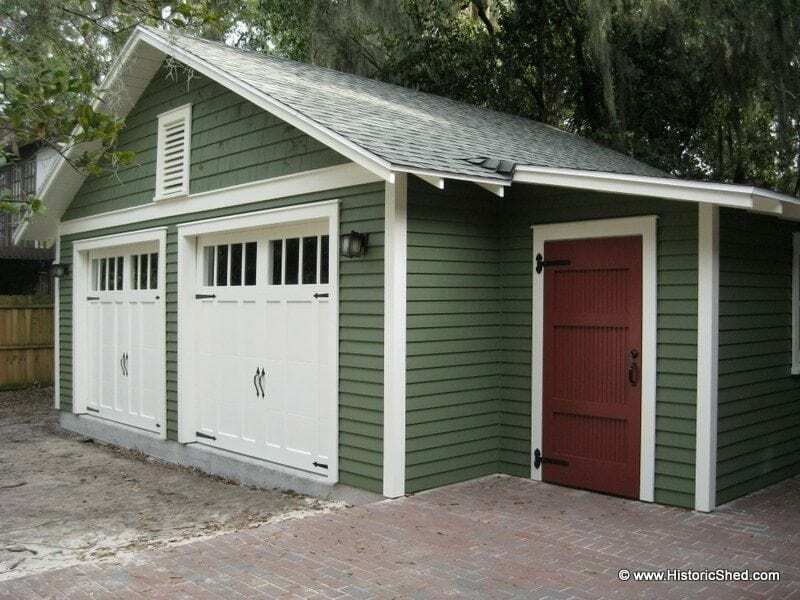 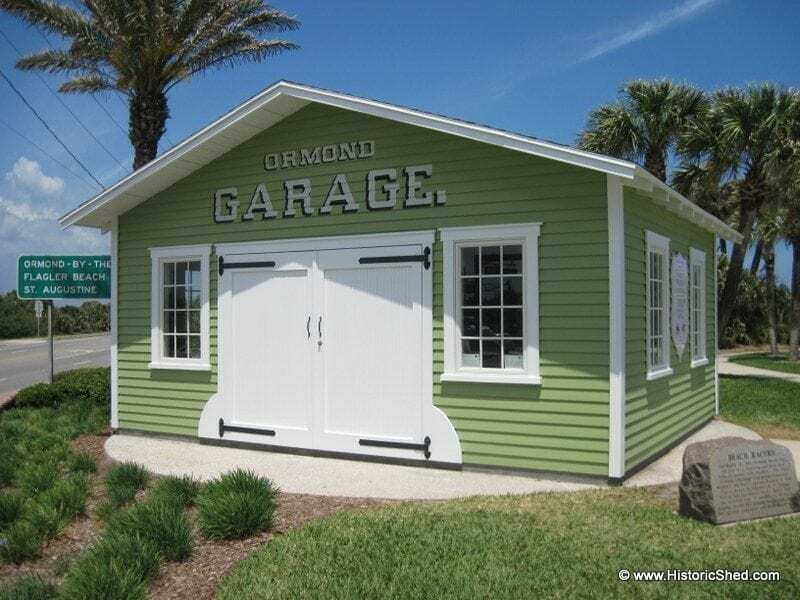 Each garage uses traditional design and detailing, making them the perfect accessory building in historic neighborhoods. 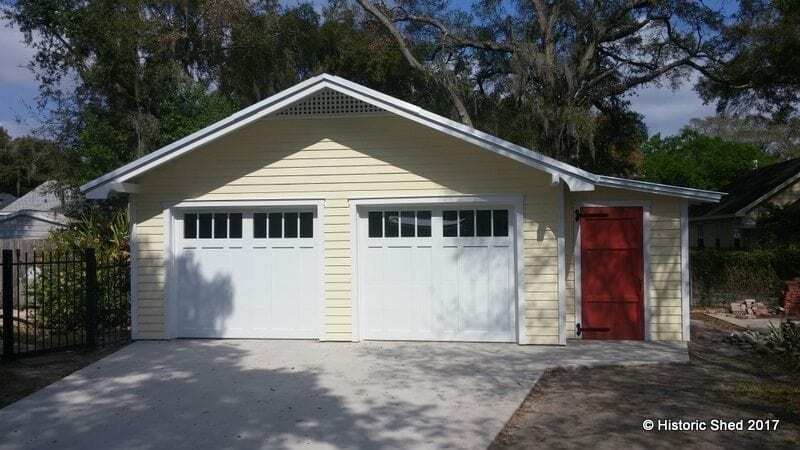 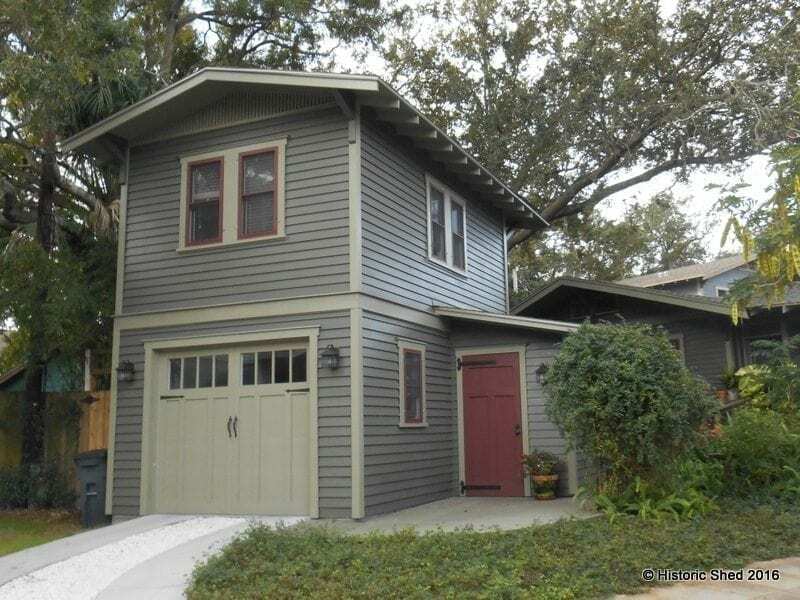 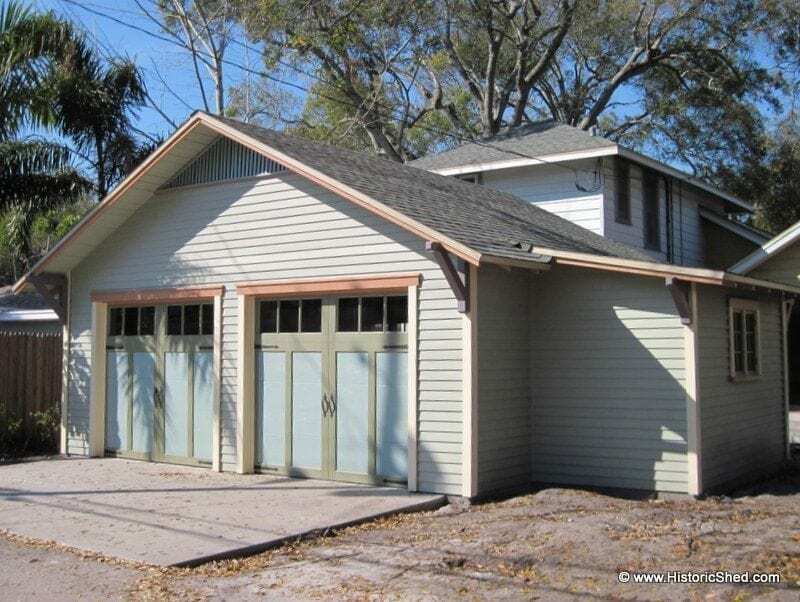 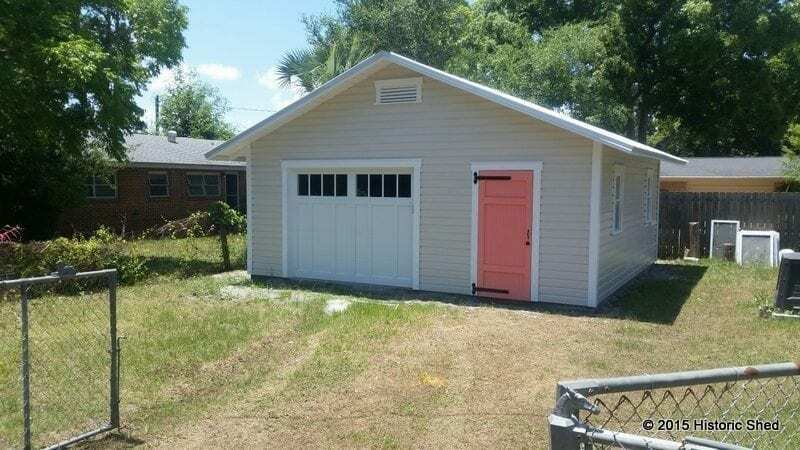 All garage construction meets or exceeds Florida Building Code. 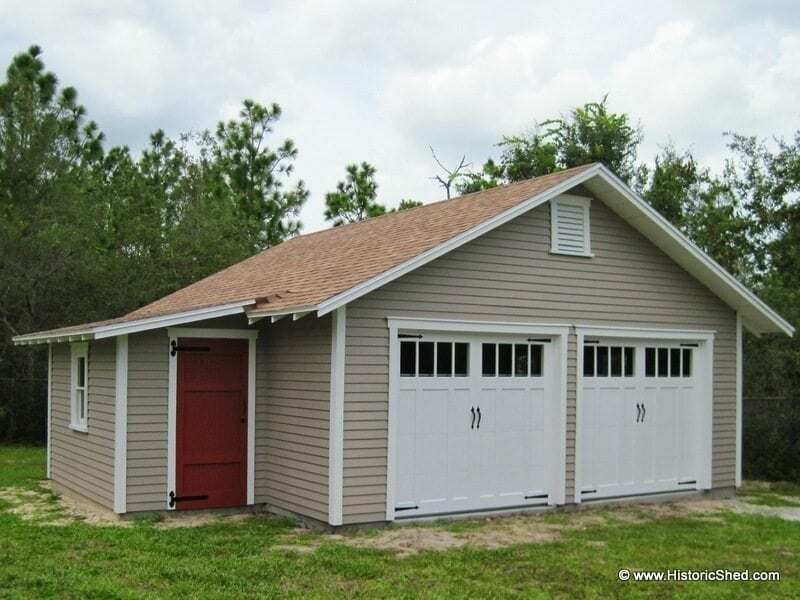 In addition, we can install plywood on the interior walls of our garages for added strength and convenience. 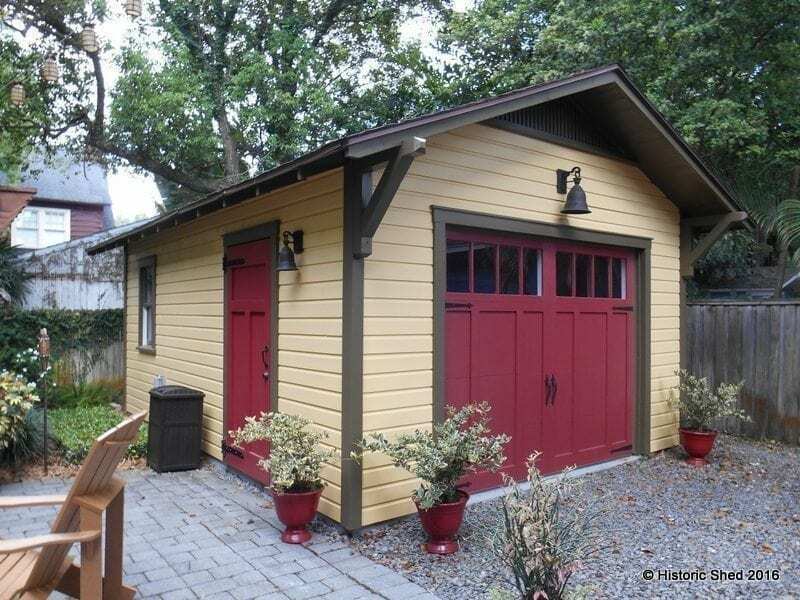 Historic Shed™ is also now pleased to offer Two Story Carriage Houses.